The Pinwheels for Peace festival wrapped up about 8 o’clock last Friday night, and I am happy to report that it was a great success. More than 500 people filtered through the University Center at Oklahoma City University. (We know this because our friends at the Shinnyo-En Foundation donated 500 t-shirts to give away at the festival, and the t-shirts were completely dispersed by the end of the program. If you see anyone wearing a t-shirt with a colorful message on the front about “6 Billion Paths to Peace,” you can bet the wearer was a probably a visitor to our Pinwheels event). 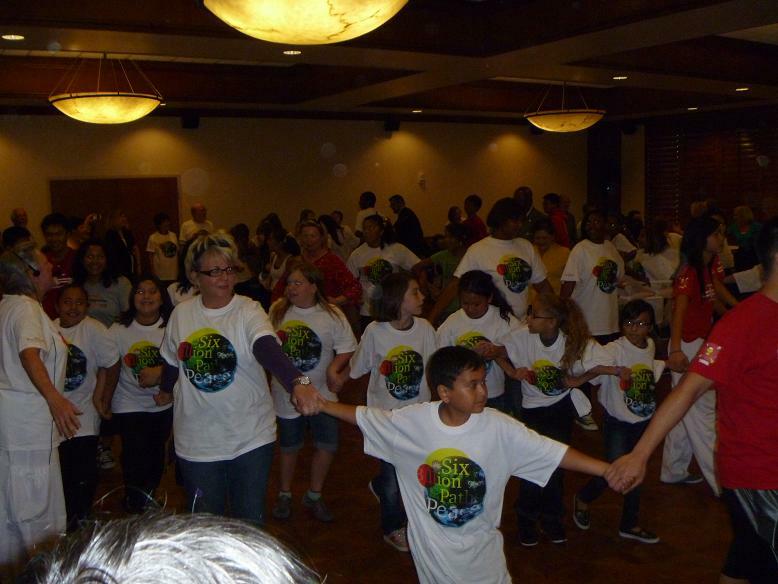 Students from area schools participated in various ways. For example, some students enjoyed a class on Japanese culture sponsored by the Japanese American Society of Oklahoma. Origami and Anime were featured. Haiku, as well. Other students walked through a peace labyrinth. They also helped to plant a garden of pinwheels on OCU’s main lawn. Throughout the day, I observed random people stopping to make their own pinwheels as a “DIY” activity. I recall seeing a modestly-dressed woman with a head covering who made a pinwheel and planted it with the others. Little children hopped around the display. Sometimes they blew gently on the blades of the pinwheels, coaxing them to spin. Countless photographs were taken by people passing by. (You’ll see some of these photos appearing on our Facebook page soon). By 5pm, more than a dozen co-sponsoring groups had set out an array of literature and give-away items about their purposes and activities. Our local chapter of the UN Association had a display table, of course. Also the Wesley Center at OCU, the Interfaith Alliance, the Respect Diversity Foundation, the people of the Baha’i Faith, and many more. One of our exhibitors brought a pair of beautiful raptors — an eagle and a white hawk from the SIA Comanche Nation Ethno-Ornithological Initiative. They were a special attraction. At 6pm, the performances began in the Great Hall. April Nelson (“Miss OCU”) and Michael Allen were the emcees. An estimated audience of 200 applauded the talent of singers and dancers from various traditions. Steve McLinn was our most capable producer / composer / performer. A pre-program drum circle warmed up the crowd. We couldn’t make this event happen on our own, of course. It truly was a collaboration by many like-minded organizations. Lots of volunteers gave their personal time to make it a success. I won’t try to list the names of everyone who helped. I’m also very happy to report that our friends at OCU seemed to be pleased with the celebration. It is a popular event with many students and faculty members. We are very fortunate that OCU is willing to host the program, and I think we will be invited back next year with even greater involvement from all of the ‘Stars’ at OCU. 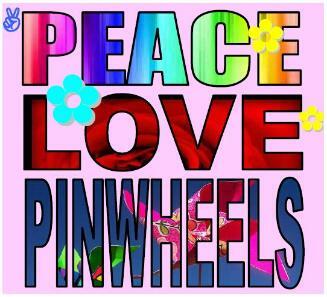 Our Pinwheels festival is always offered on September 21st, the International Day of Peace. Coincidentally, it occurs each year at the same time that the General Assembly of the United Nations is re-convening for a new session. 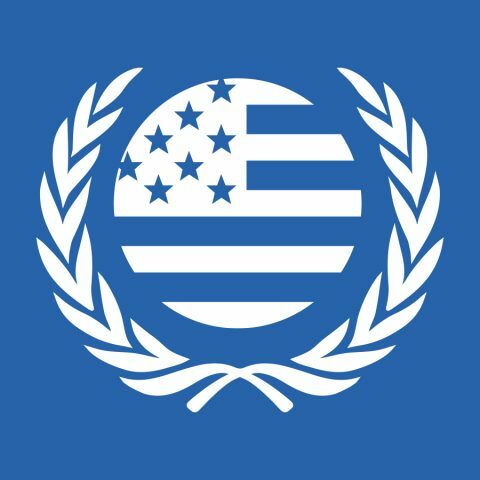 You have probably been hearing the news reports about heads of states — presidents, prime ministers, and so on — who have brought their annual messages to the UN’s General Assembly. I think it is quite fitting that as the delegates of nearly 200 nations are convening in New York City, millions of people around the world are silently breathing their hopes for peace into the air. Students and other community members throughout the greater Oklahoma City area will participate in the 6th Annual International Day of Peace Pinwheels for Peace Festival being held this year at McDaniel University Center at Oklahoma City University. As in previous years, we’ll enjoy live music, multicultural performances, activity booths, pinwheels, and fun. Around the OKC metro area students are creating pinwheels representing peace and harmony as part of the Pinwheels for Peace Project. This project was the idea of 2 Florida art teachers in 2005. This project has become an international celebration and a way for art students to show their contribution to the United Nations’ International Day of Peace. Some of these works of art will be on display in Oklahoma’s Largest Pinwheel Garden during the festival on September 21. Kicking off the event will be a drum circle beginning at 5:15 pm outside of the Great Hall. You are invited to bring a drum and join the fun! Meet the live Eagles from SIA: Comanche Nation Ornithological Initiative. Inside hear the beautiful tunes of the Oklahoma University Student Doctorial Woodwind Quintet playing indoors. Display and Activity Tableswill provide information from our sponsor groups promoting peace within ourselves, among groups and with our environment. Displays will provide families with information about cultivating peace within and without. You will also be able to create your own pinwheel for peace. In today’s world, peace needs to become more than just a word. Today’s students are bombarded with television images, video games, and magazine articles/ newspapers that give importance to conflict and war. It is our hope that through the Pinwheels for Peace Festival, we can help the students make a public visual statement about their feelings about war /peace /tolerance /cooperation /harmony /unity and, in some way, awaken the public and let them know what the next generation is thinking. For more information about this event, visit www.pinwheelsforpeaceokc.orgor like us on Facebook www.facebook.com/PinwheelsOKC.